Win Gurrumul: A portrait of an important and acclaimed indigenous artist | SWITCH. 'Gurrumul' is a portrait of an artist on the brink of global reverence, and the struggles he and those closest to him faced in balancing that which mattered most to him and keeping the show on the road. In Yolngu lore the name, image and voice of the recently departed is retired from all public use. A very rare exception has been made by Gumatj and Gälpu clan leaders for 'Gurrumul'. Three days before his death he approved this film. It remains unchanged since this time. Indigenous artist Geoffrey Gurrumul Yunupingu was one of the most important and acclaimed voices to ever come out of Australia. Blind from birth, he found purpose and meaning through songs and music inspired by his community and country on Elcho Island in far North East Arnhem Land. Living a traditional Yolngu life, his breakthrough album ‘Gurrumul’ brought him to a crossroads as audiences and artists around the world began to embrace his music. The 'Gurrumul' competition has now closed. Winners will be announced shortly. Competition opens at 5pm AEST on Sunday 15th April 2018 and closes at 11:59pm AEST on Sunday 22nd April 2018. Ten winners will be chosen at random on Monday 23rd April 2018. To successfully win, entrants must fulfil the above entry conditions before the time the competition closes. Current members/followers are eligible to enter the competition. Only one entry per person. Only one winner per household. To be a valid winner, the entrant must not have won a prize from SWITCH within the last 28 days. 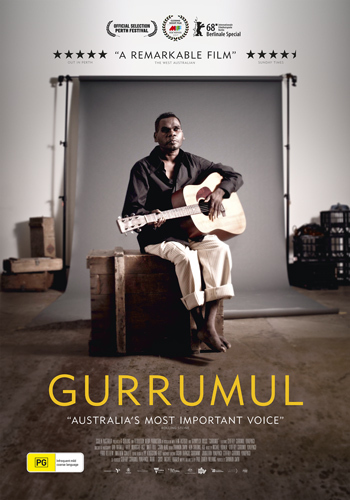 Each winner will receive one double pass to 'Gurrumul'. By entering, you agree to receive occasional emails from SWITCH in the future. If you decide to unsubscribe from these updates, any further entries will not be applicable. Only Australian residents are eligible to enter. 'Gurrumul' is in cinemas from Wednesday the 25th April 2018 through Madman.